Contrary to news that previously circulated the internet on friday, (read here) “Kelvin DID NOT Kill Himself” close friends of Kelvin Lakoju have responded. Few days after the news of the alleged fake story of Kelvin Lakoju committing suicide broke out on blogs, his family and friends have come out to dispute the story. Although investigations are still going on, it is believed that the possibility of suicide has been ruled out. Kelvin was said to have received death threats from his Landlord and on several occassions he had reported to his parents. Unconfirmed reports say that new findings will be sent out soon. In the main time it has been sadness, pain and tears for friends of Kelvin. He was a great guy, humble, friendly and calm, he’ll be greatly missed by his Family and Friends. His friends are hereby appealing to the authority and the embassy in India to take up the case, his friends and neighbors should be questioned, everybody around should be called. Kelvin couldn’t have killed himself, he wouldn’t do such a thing. Was the response of an old school friend of his. Some of his friends believe his landlord is the main suspect. 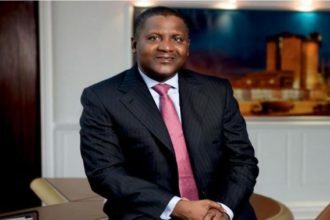 Dangote named sixth most charitable person in the world.